The Spinal Injury Association (SIA) is a World of Difference charity partner. The partnership has directly benefitted over 500 individuals in the last six months from its programmes and activities. Of these, there are between 60 â€“ 65 percent new cases. The focus has been on improving the lives of people with disabilities by addressing issues of physical ability and accessibility. Some of the key achievements include: the renewal of MOA with LDS Charities for over 300 wheelchairs and mobility aid and appliances for 2015; an extension of the Include Disability Employ Ability (IDEA)program; renewal of agreement for training and procurement of equipment for children with UCP Alliance Australia; recruitment of physiotherapist through Australian Volunteer International to be attached with SIA and the Tamavua Service Centre; and Securing equipment and medical consumable from Mr Jim Gilchrist and friends in New Zealand. Twelve participants successfully completed a five-day Peer to Peer training programme on Mobility, Independent Living, Understanding Disability while learning new skills and discovering their own unique abilities and capacity. At the completion of the programme the participants had a better understanding that disability is not an attribute of the person, but the social and physical environment in which the person lives. It is the environment and societyâ€™s attitudes of stereotyping that is a barrier that disables people have to circumnavigate. The programme was a success as participants established a Peer to Peer community, engaging with other members of the organization, building networks with institutions such as the National Rehabilitation Hospital to continuing the activities and experience gained from the week-long initiative. Since the opening of an SIA Workshop and Storage centre at the Tamavua Hospital, SIA Wheelchair Technicians and Volunteer Unit are able to service an average of 30 to 40 mobility aid and appliances daily. This centralized national service centre provides vital servicing and maintenance for mobility equipmentâ€™s not only for individuals but for home care institutions and hospitals around the country. The new service centre has been made possible with the partnerships of Vodafone ATH Fiji Foundation, Motivation Australia, LDS Charities, Physio Net UK, UCP Alliance Australia, Office of the Medical Superintendent Tamavua, Rehab Hospital, Pacific Disability Forum, NGO, Government Grant and other In-Kind and financial supporters. A Urinary Management Programme, the first of its kind for Fiji, was implemented to support and assist persons living with spinal injury and physical impairment relating to Urinary Management. The initiative is supported by the Urology Centre who have recognized the need for appropriate urinary management products. It has been medically proven that multiple secondary complications that lead to premature deaths results from lack of urinary management. The programme provides an opportunity for individuals to have a better understanding of Urinary Management and at the same time ensuring better hygiene and resilience to secondary complications. The users of the products have a higher confidence in participating in activities and programmes within the family and community. The one-year pilot program is in partnership with Motivation Australia.Â The UMP kits are not readily available in Fiji and it is often unaffordable by over 90 percent of individuals needing the product. An Intermediate Training for Wheelchair Technicians and Clinicians has enhanced the capacity of SIA in prescribing the right equipment to persons with disabilities. Such training is vital, particularly when dealing with children with physical impairment. It has helped in understanding the relationship between the equipment and the individualâ€™s physical impairment. Prescribing the right equipment ensures the individual to be independently mobile, safe and resilient to secondary complications. 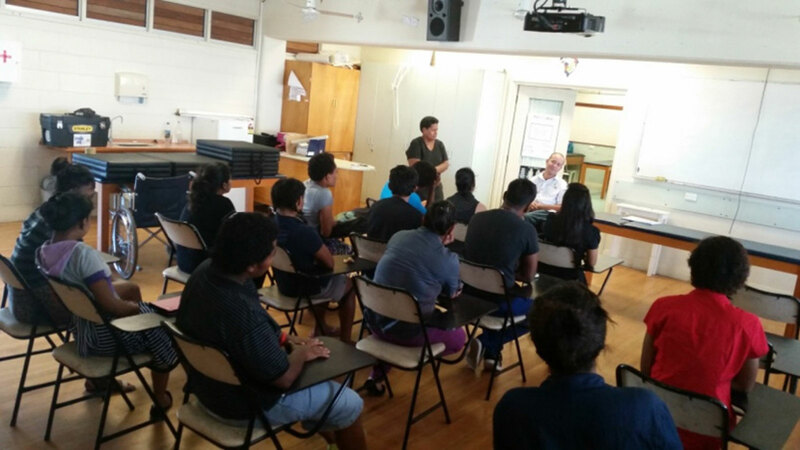 The two-week course was conducted by international Master Trainers in partnership with The Fiji National University. This programme also resulted in the organization receiving 166 childrenâ€™s wheelchairs from Wheelchair for Kids Australia.